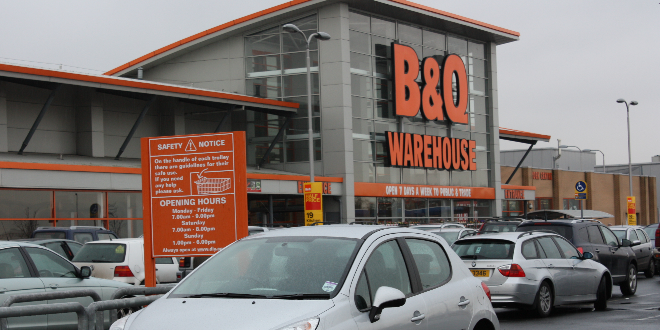 Kingfisher PLC has announced it will be closing 60 out of 360 outlets B&Q stores in the UK and Ireland, in the next two years. The move came at the same time that Kingfisher announced a 15.2% fall in pre-tax profit for 2014. “Home improvement is a great market with huge potential and Kingfisher has a strong position within it with further scope to grow in a sustainable way. However, it is clear to me that we need to organise ourselves very differently to unlock our potential. This will involve taking what is essentially a locally managed set of businesses and creating instead a single, unified company where customer needs come first. The first step in developing this new organisation is the creation of a new, international leadership team with more focused cross-company roles. “We have a lot to do and we are announcing today a set of first ‘sharp’ decisions which are already underway including the closure of around 15% surplus B&Q space (c.60 stores) and our few loss making stores in Europe, the development of unified garden and bathroom businesses and the start of a Big Box revitalisation programme across Europe. Is this good news for the industry? Tweet us @installermag or comment below.